The entrepreneurial bug caught Kofi early. Half way through his pharmacy programme at Kwame Nkrumah University of Science and Technology (KNUST), he had already started a business from saving-up through vacation jobs in London and investing in fast moving European manufactured pharmaceutical brands for resale. By graduation, he already had a fair sized and profitable wholesale and retail business going in Kumasi. He was chosen to be a Teaching Assistant in his Department at KNUST which he graciously accepted. At the same time he was spending what little free time was still available running his shops and manufacturing basic syrups and formulations including extemporaneous preparations like Mist Magnesium Trisilicate, Cough Mixtures, Paracetamol Syrup etc. In time, due to resilience, hard work and more than a little providence, his shops grew from one to two and then three and counting. The imported small scale purchases for resale became real licensed manufacturers’ representations and his formulations became FDA registered and properly packaged products made from a decent sized respectable plant. He was now faced with a dilemma. He loved to teach but so did he love business with equal passion. Hating to do anything by half, he had to make a choice. Kinap, until this point the name of the small business, had to give way to Kinapharma. Over a 21-year period from this point, he has pressed on adding new manufacturing products and adaptations at the rate of about 10 every few years. The business outgrew the initial location quickly and then found new space at the old Accra Chemists Factory initially on rental but soon as full owners of the entire factory. Over the next decade and a half, Kinapharma would push, grow, face the inevitable hiccups, flounder, rebound and continue. The factory would be gradually outgrown, expanded and retooled. The products manufactured would increase till the current 154 and counting. The staff from the initial three to the current 560 including 24 pharmacists and in total over 150 members of staff with at least a Bachelor’s Degree. This is for the pharmaceutical section only. 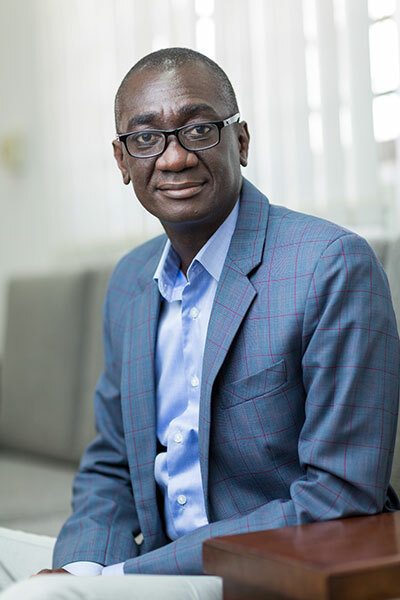 In the last decade, Kofi has taken several bold diversification initiatives and massively increased his footprints, setting up Xpert security Ltd to offer cutting-edge electronic security solutions including Intruder Detection Systems, electronic surveillance and vehicle tracking to blue chip multinational companies, diplomatic missions and luxury real estate complexes across the country. Green Diamond Estates was the next venture a few years later, engaged in the building and managing of multi-unit high end full-service residential enclaves including Aspect Court. Kofi’s most recent venture is HealthiLife Beverages Ltd. with a spec built and managed Tetra Pak food processing facility which has quickly created and established relished juice, milk and energy drink brands including Go! Xtra, Pure Milk and Gluconade. The HealthiLife plant is also already a contract manufacturing concern for some of the world’s biggest multinational drink brands. To date HealthLife remains arguably the largest indigenous privately owned and managed food manufacturing facility built at an estimated 40 million dollars. The facility, too big for just the local market, now has offices and distribution throughout West Africa including Nigeria, Liberia and Sierra Leone and counting. Intensely engaged personally in the initiatives, direction and leadership of his business, Kofi brings his calm, persistent, constantly-learning self to bear on all the businesses. His steady hands direct these businesses that are built to last from the current direct staff strength of over a thousand to businesses with unlimited potential. Florence is the Co-Founder and Deputy Managing Director of Kinapharma and the Kina Group of companies. Her direct oversight includes procurements, redistribution and logistics. As a member of the Board of Directors, Florence brings to the table her two decades of hands-on pharmaceutical detailing, distribution and customer service knowledge and expertise. A professional and registered nurse, she holds a Post Graduate Diploma in Logistics and Supply Chain Management. She has also undertaken numerous executive development programs in management, administration and human resources. Nuamah’s career spans a decade and a half in middle to executive management. He has been involved over the years in general administration and marketing with special focus and accomplishments in media/ broadcast management, sales management and project management. 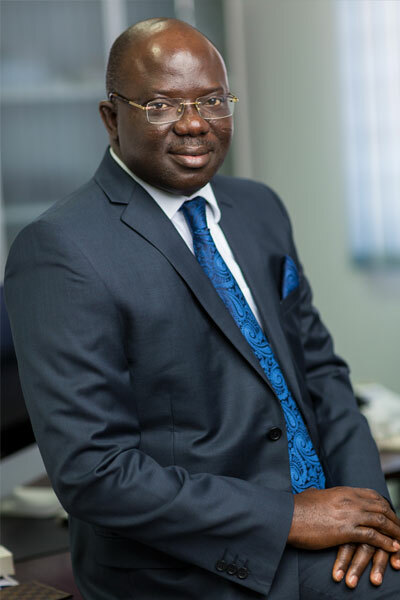 He started out as Millicom Ghana (now Tigo’s) first Public Relations/Media Manager and Project Manager for its expansion to Kumasi, Obuasi and Takoradi. He subsequently built and established LUV 99.5 fm in Kumasi and then ADOM 106.3 fm for MBC/JOY GROUP achieving stretch audience and revenue targets in two years in both instances. Most recently, he serves as General Manager – Operations/Marketing for KINA Group with oversight responsibilities for business development, advertisement and new projects. 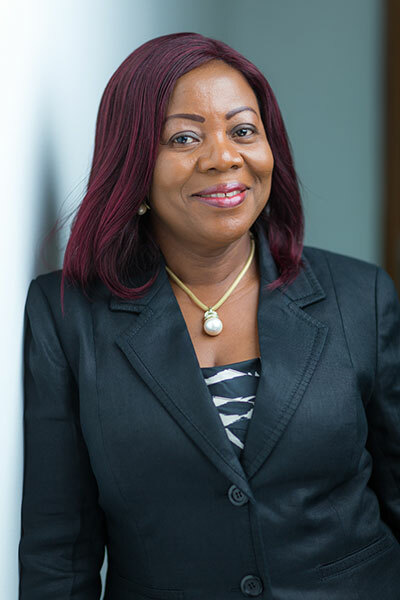 Nuamah was educated at GIMPA Graduate School, McDonough Business School of Georgetown University, Chartered Institute of Administration, the Ghana Institute of Journalism and St. Johns School – Takoradi. William has had the most enduring and illustrious employee career at Kinapharma. As the first graduate staff, he joined Kinapharma some 18 years ago after graduating as a Pharmacist. He has since grown and excelled from being the sole Medical Rep to currently overseeing and leading over 50 Pharmacists and Science graduates, reps, marketers and production managers. William has a B. Pharm from KNUST and an EMBA from GIMPA Business School. His professional interests include research and development of brands, niche marketing, and exploring new markets. 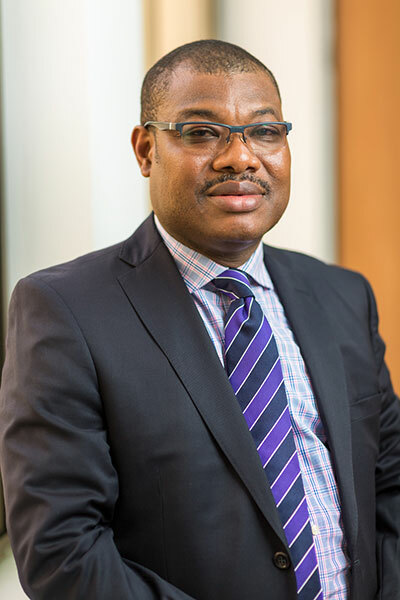 As a practicing accountant with approximately 34 years working experience, Emmanuel Essuman, joined Kinapharma Group of Companies in November 2007 with a wealth professionalism and rich experience in auditing and accountancy. He started his professional career with a firm of Chartered Accountants, Adewuyi Brothers & Co., Ibadan, Nigeria, from 1980 to 1990. 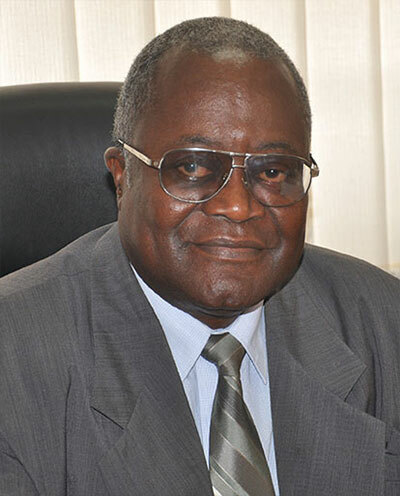 He later joined another audit firm, Okpala, Ezeamii & Co., from 1990 to 1999 in Lagos, Nigeria, during which period he qualified with ICAN (Institute of Chartered Accountants of Nigeria). On his return to Ghana, he worked with John Allotey & Co., Chartered Accountants, from January 2000 to November 2007. He has audited and handled the accounts of many trading and non-trading companies, banks, insurance companies, hotels and manufacturing companies.